When it comes to pickup trucks, getting good gas mileage is something most consumers would really appreciate, but few really believe it’s a likely possibility. 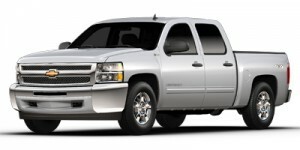 The good news for the 2013 model year is that there are a few standout pickup trucks that do, indeed, get fairly good gas mileage. Hint: Some are hybrids, but not all. mpg city, 25 mpg on the highway cycle, and 20 mpg combined. The Tacoma with the same engine and four-speed automatic transmission comes in at 19/24/21 city/highway/combined mpg. manages to achieve city/highway/combined figures of 20/23/21 mpg. 2013 Chevrolet Silverado C15 XFE – With just a few miles per gallon difference, the 2013 Chevrolet Silverado C15 XFE, in two-wheel drive, powered by a 5.3-liter V8 engine matched with a six-speed automatic transmission, makes a pretty impressive 15 mpg city/22 mpg highway/18 mpg combined. 2013 Ram 1500 HFE – Another full-size pickup truck is impressive in its own right. 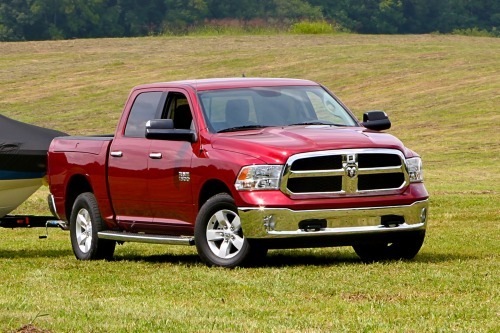 The 2013 Ram 1500 regular cab HFE, powered by a 3.6-liter Pentastar V6 engine and mated with an eight-speed automatic transmission, achieves an EPA-estimated 18 mpg city/25 mpg highway/21 mpg combined fuel economy in two-wheel drive models. 2013 Ford F–150 – Worried that no Ford trucks are on the list? 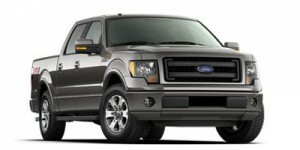 Fear not, there is one that makes the cut: the 2013 Ford F-150 regular cab, two-wheel drive FFV. With its 3.7-liter V6 engine and six-speed manual transmission, this F-150 ekes out 17 mpg city/23 mpg highway/19 mpg combined. 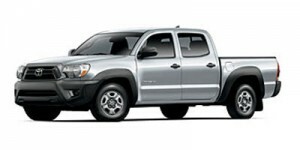 Of course, high fuel economy is great to have in a pickup truck, but you have to weigh and balance what you really need the pickup truck to be able to do for you. If it doesn’t meet your needs for towing or hauling or carrying passengers, the best fuel economy in the world will be an afterthought. 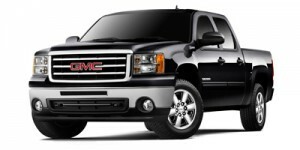 On the other hand, if you regularly transport just you and perhaps one or two others, few heavy things and don’t need to tow (or not tow as heavy a load, since these trucks can handle some towing duties, especially the full-size pickups), consider taking a test drive in one of the above-named best 2013 pickup trucks with good gas mileage.